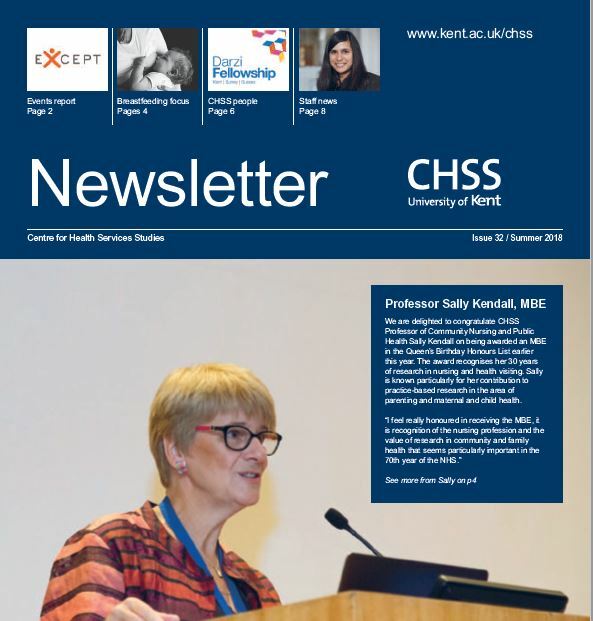 Our latest CHSS Newsletter is now available to read or download. This issue includes the EU EXCEPT project event at the House of Commons hosted by Canterbury MP Rosie Duffield. The Parliamentary Reception shared findings around youth unemployment and social exclusion. We also feature our work to promote breastfeeding and Professor Sally Kendall responds to President Trump’s stance on the subject. On p6-7 our regular CHSS People slot introduces our three visiting Darzi Fellows; NHS clinicians who are working with CHSS whilst undertaking their Postgraduate Certificate in Clinical Leadership. You can subscribe to future issues by email. Our online archive is also available. We always welcome feedback, suggestions or comments.